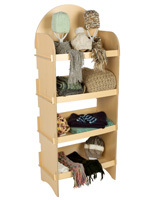 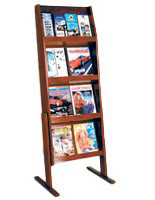 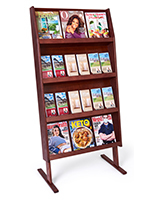 Wood shelving can be an effective merchandising tool for retail stores. 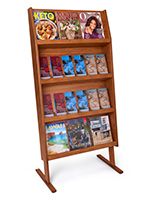 By setting up a unique store fixture layout, marketers can put place products in highly prominent areas where customers are more likely to take notice. 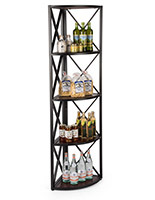 Different styles are available to meet different needs that come with varying settings and layouts. 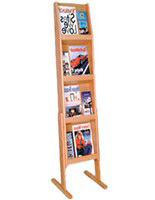 Not only is regular product shelving available, magazine shelving is ideal for doctors' offices, lobbies and waiting rooms. 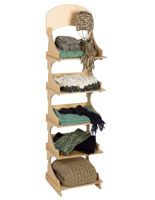 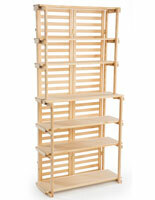 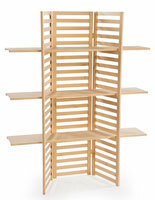 What makes the wood shelving racks stand out from the competition? 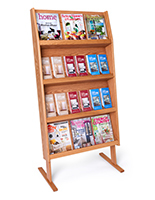 The combination of simplicity and functionality provided with these displays makes them versatile enough to use in a variety of store settings and in combination with other retail fixtures like gondolas and gridwall setups. 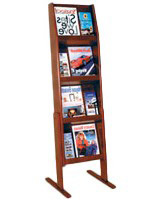 A-frames are easy to setup and can also be folded up for storage when not in use. 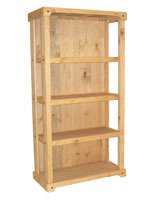 Other folding panel set ups feature different designs but the same functionality that makes it easy to store. 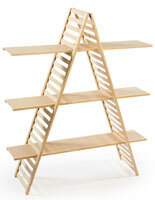 The pine finish sets a light, neutral tone that will put the focus on merchandise and not on the fixture itself. 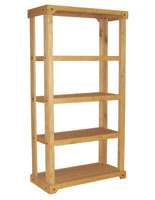 Looking for something sturdier? 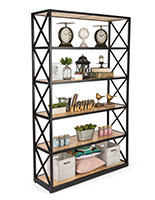 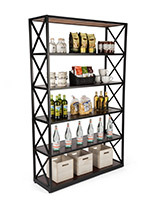 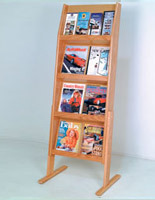 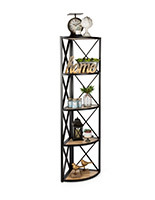 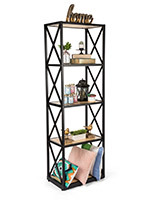 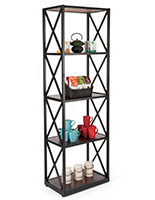 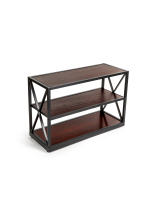 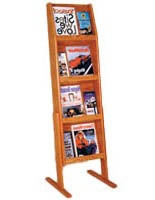 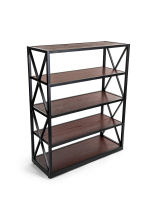 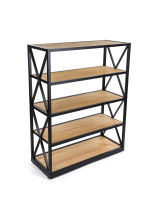 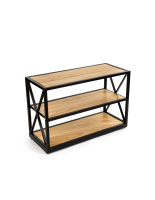 Check out wooden shelves with a metal frame.